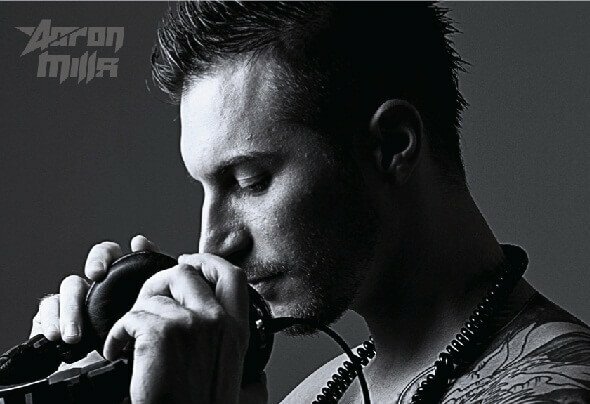 Aaron Mills, real name Igor Nardo, was born in 1983 in Italy by australian mother and canadian father.His life is devoted to the music since 1998, when he approached the turntables for the first time. During his college experience to became a cognitive psychologist, he founded the dj duo Acida Corporation, and started soon to gain the respect of the crowd playing in many italian clubs and underground parties. As a psychologist, his music reflects his wish to help people find real happyness inside ourselves, taking the dancefloor into an electronic jurney for the soul. Producing music for his performances since 2003, he started his pro career as producer with his friend Alby T, publishing on good music labels like 1605, Gee Spot , Binary404, IAMT, NoLogik, Audio Elite, Ready 2 Rock and many many others since 2010.